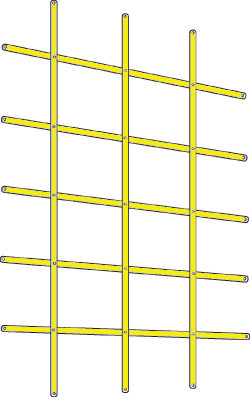 The DoorGuard 5 bar Strapping Security Grille for door is easy to fit and will greatly increase security to a glazed or weak panelled wooden door - often a rear or side 'garden' door. It is a single stock size with a design that allows it to be fitted to the internal face of most doors. The 'square trellis' type design of the DoorGuard Grille means that it is very easy to transport because it folds down for transportation.